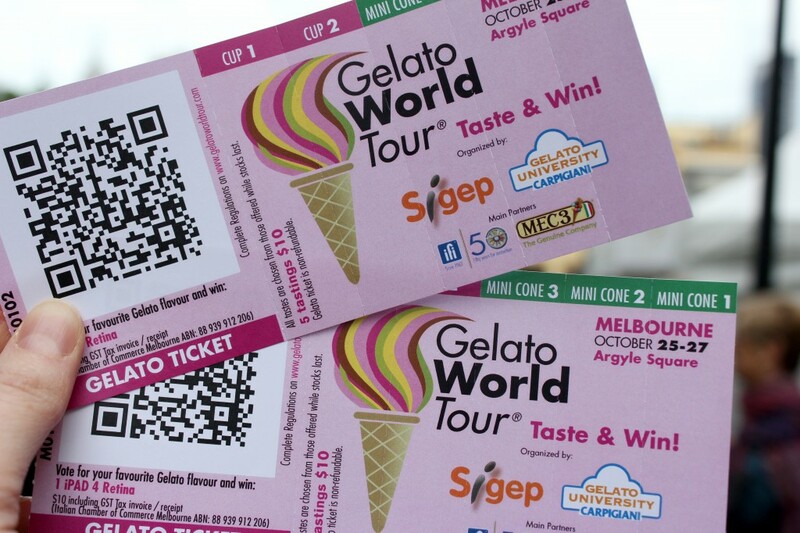 A few weeks ago, I had no idea such a thing as a Gelato World Tour existed – much less that one of its eight whirlwind stops around the globe would be in my very own Melbourne! Luckily, things very quickly changed. That very stop was set to take place over the fast-approaching weekend of 25th-27th October, and the Melbourne foodie community was abuzz with anticipation. 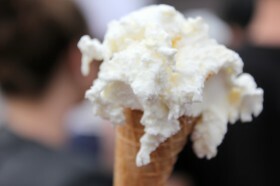 Sixteen Australian gelato artisans would converge upon Argyle Square, Carlton, to offer up their bid for a place at the tour’s grand finale in Italy late next year. 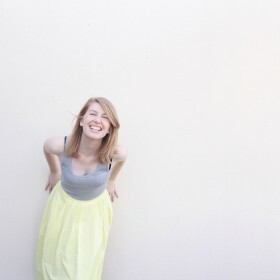 It probably goes without saying that I love ice-cream. I’ve gelato’ed my way across Europe, look forward to my Ben & Jerry’s chocolate-sprinkle waffle cone as much as any movie at my cinema, and had a major life moment when David Lebovitz, famed homemade ice-cream connoisseur, responded to a tweet of mine. 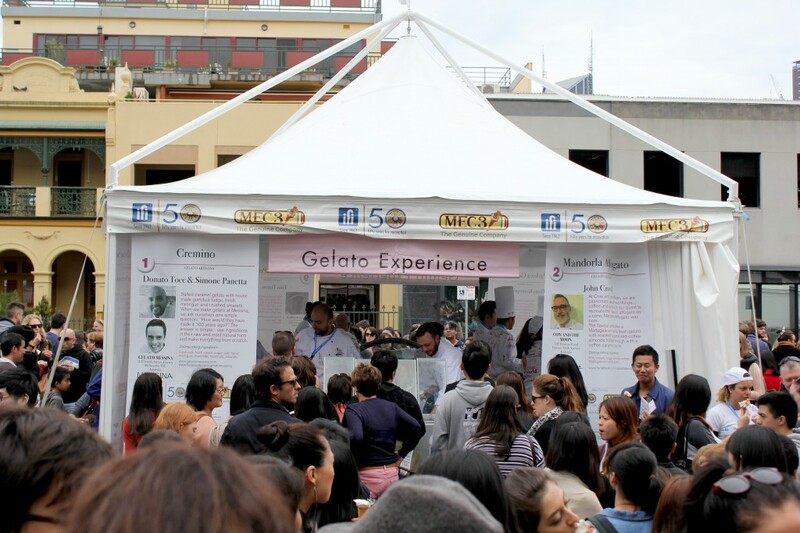 So obviously, the Gelato World Tour was an event I’d have been remiss not to attend. Mat and I trundled over to the festivities on the Sunday afternoon, met up with my friend Hannah, and bunkered in for the ‘Gelato Experience’. A $10 ticket earned two cups of gelato plus three mini cones to sample whichever of the sixteen flavours on offer took our fancy. The lines for each gelato artisan and their nominated flavour were, in most cases, extraordinarily long – which at least gave us time to strategise how we were going to use our precious five samples to best effect! The one ice-cream that all three of us chose to line up for was Gelato Messina’s ‘Cremino’. Aside from wanting a taste of what is often famed as the best gelato in Australia, the Cremino creation simply sounded downright delightful. As we waited in line, we actually learnt that it had just been declared the winner of the Melbourne leg of the Gelato World Tour, which was a nice affirmation of our first choice! It did not disappoint, either. The ice-cream, meringue and crushed amaretti created a beautiful taste and texture – but it was the pockets of incredible gianduia fudge that really set it off! 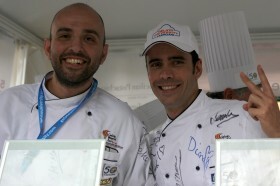 Donato Toce and Simone Panetta of Gelato Messina were also the loveliest gelato artisans we met all day. Whilst most of the other representatives seemed a bit worn by the weekend (understandable! ), these two had plenty of time for every customer and did it all with a smile and a laugh. Very much looking forward to the first Melbourne store opening on Smith street, Collingwood, very soon! 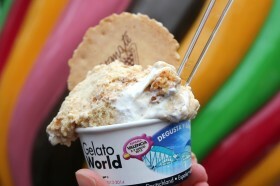 For my second gelato cup, I chose N2 Extreme Gelato’s ‘Deconstructed Kaya Toast’. I’m a huge fan of N2 Extreme Gelato on Brunswick Street, Fitzroy, but hadn’t tried this creation which featured on the rotating menu back in August. Inspired by a popular Malaysian snack, kaya toast, I was very curious to give it a go! The kaya – caramelised coconut egg jam – was served in true N2 style via syringe, and was a wonderfully new flavour for me. The whole creation was really brought together by the Malaysian cream cracker, though – that element just worked wonders, and certainly makes me want to try the real deal! I capped off my tastings with the ‘Pavlova Gelato’ from Frangipani Gelato in Sydney, and ‘Pistachio Crunch’ from Cones Ice Cream Hawthorn. 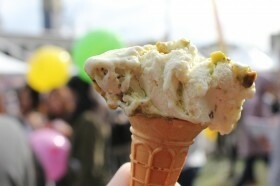 The Pistachio Crunch was definitely the standout, with a sensational salty-sweet flavour. Mat and I had run out of time and had to sacrifice our final mini-cone – but honestly, we had been well and truly satisfied with our spoils! 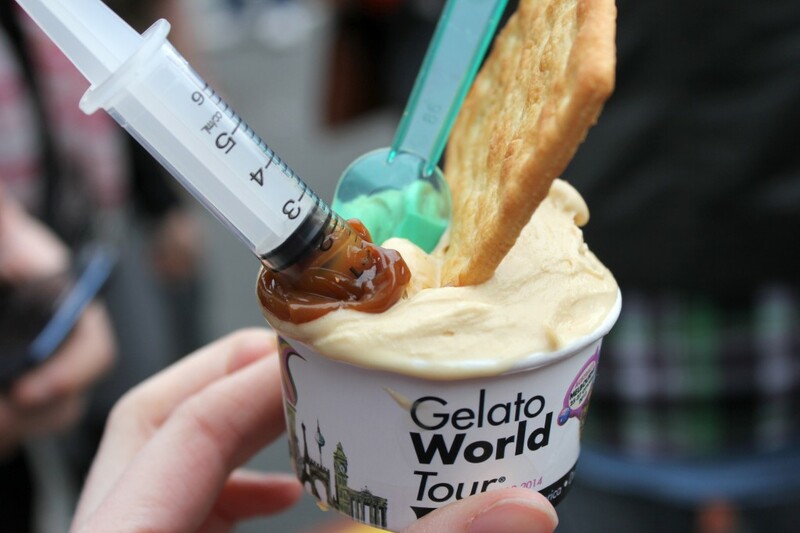 The tour was a fantastic chance to take a gastronomical glimpse into some of the country’s best gelato creations – here’s hoping we can hold our own at the grand finale next year!